Last weekend my lovely brother treated me to a weekend away in my favourite city, London, to see Jersey Boys on the West End. London is SUPER festive at this time of year and we found ourselves exploring all the Christmassy things on Saturday. I was in New York last year at New Year but I think London’s Christmas offering is even better and a massive part of that is Hyde Park’s Winter Wonderland. 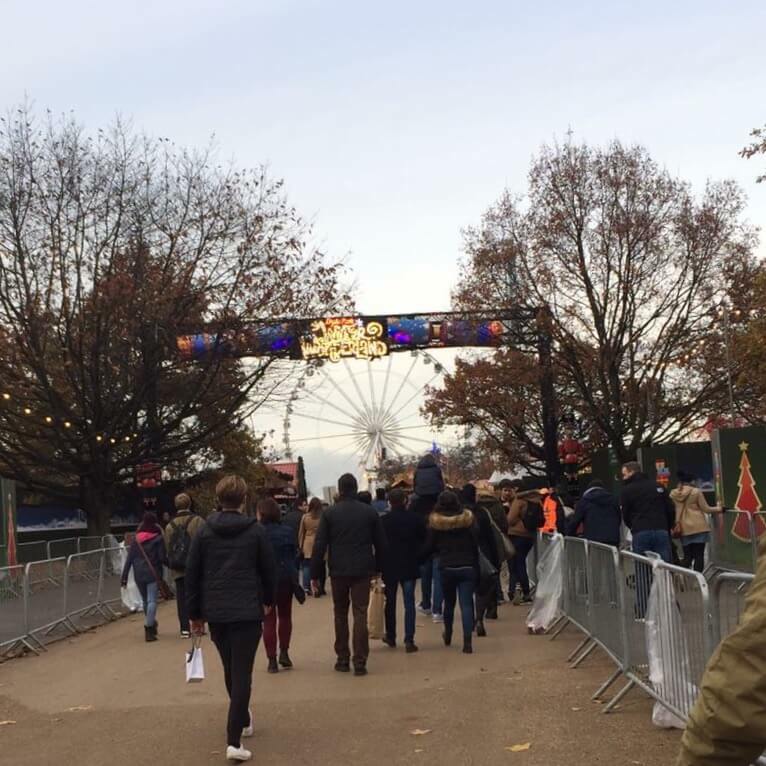 I’ve always wanted to go to Hyde Park’s Christmas extravaganza but have never had the chance to yet. It was every bit as magical as I had expected it to be. From fairground rides (which I was way too scared to go on!) to a Bavarian market where I sampled some delicious mulled cider and lots of mouth-watering food stalls, there’s plenty to do and see in the park. My favourite part was the ice rink which, admittedly, isn’t as impressive as the one at the Rockefeller Centre (but it is temporary!). I didn’t even have a go at ice-skating myself as I am really terrible at it but I really enjoyed watching people whizzing past and, of course, trying to keep their balance! There’s also a circus, attractions like hook a duck, and market stalls selling crafts. While we were there it dropped really cold when it went dark and began to snow which pretty much brought a tear to my eye as it was SO FESTIVE! Entry is free but there are extra charges if you’d like to see the circus or go ice skating. 1. Bring plenty of cash. There were cash machines at the entrance but they charged £2.99 to withdraw your cash and they all ran out of cash while we were there (about 2.30pm). The attractions, food and drinks are all pretty expensive but this is London! 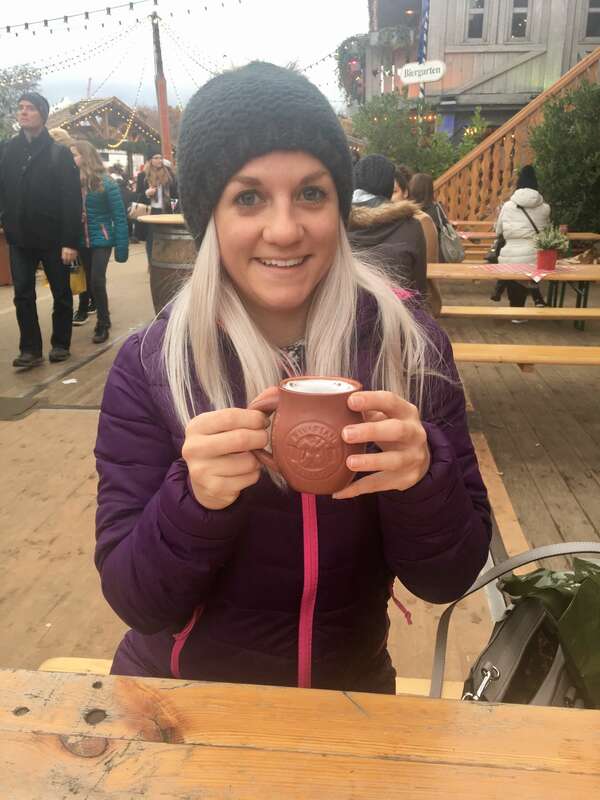 A mulled cider will set you back around £5.50 and I had to pay a £4 deposit for a cup, which I got back when I returned it. 2. Avoid Hyde Park Corner tube station as it’s super busy and get off at Green Park instead as it’s only a 10 minute walk from here – pop in to see the Queen at Buckingham Palace on you way!